For the past decade, I’ve been capturing images of our community. Along the way, I have had the great fortune of meeting people dedicated to making our community better. While I was initially just fueled by serving the cycling world, I have also become deeply moved by a commitment to helping others. Tucson is a better place because of our volunteerism and our non-profits. With that in mind, I have a two part challenge to FUNd Raising for ALL of the El Tour De Tucson Charities in 2018. First, I am going to be riding and raising funds for EVERY beneficiary. Below, I’ll be adding links so you can help me in this endeavor. El Tour has been very generous to me by waiving their fees, so 100% of the money I raise will be going to the charities. Second, I want to encourage everyone to ride for a charity. Many of them provide free entrance into El Tour, training rides, dinner before the ride, bikes, and lots of good times. In order to help you, I’ll be sharing videos of highlighting the works of each organization. My hope is that you can find something that speaks to your heart. As much as I’d appreciate a donation, I’d prefer you register to ride for one of the charities yourself. A nice bonus for you is each charity has “goodies” they give back to those who ride and raise funds. One charity, Uphill into the Wind, will even provide you with a bike to use in the event if you do not have one. Many have cycling jerseys or kits, some have professional coaches, and group rides. Each one is different, but all include an entry into El Tour De Tucson and an event shirt. Talking about group training rides, if you are looking for people your speed to share a spin, then check out my ride list – simply send an email to Damion@damionalexander.com, with “ride list” in the comments, and I will happily add you to the email list. As I register for each charity, I will be adding additional charities and links on this page and adding blogs on bikepilgrim.com with more details of what each of these charities do in the region. If you want to donate to one of the other charities I have not registered for yet, let me know and it will sign up for it next. To make a donation to Tu Nidito click this link https://www.firstgiving.com/fundraiser/damion-alexander/2018 Click here to see What Tu Nidito Does. Today is #GivingTuesday. It is so much better in my opinion than Black Friday. It gives us a chance to look around, take stock of what matters to us and help others. Personally, I get that times have been a little challenging for so many of us and that just paying the bills and fulfilling our own household obligations are sometimes hard enough and to think of investing in our community may not be at the top of the list. However, please think of that passion you have, for whatever it may be, and look at how you can make that part of the community better. 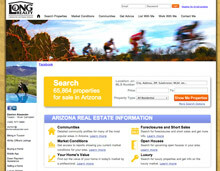 This past week I matched funds up to $5,000 for the Arizona Trail at the Business Builder Bike Ride . Most everyone in attendance stepped up and donated $3,700. That made the total $7,400. I’ll extend my match to try and get to a total of $10,000 before the end of the month. If you make a donation, let me know, so I can add to my share. I know many of you are cyclist and having safe roads matters. Consider Look! Save a Life. 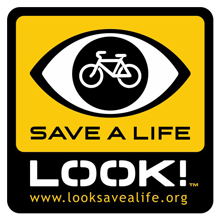 http://www.looksavealife.org/ . Click Donate I the top corner or buy a jersey. Just having the image on the road and sharing the message matters. Do you like to get a little back when you are giving and motivate yourself at the same time. Consider registering for The Tour De Cure. You can help fund diabetes camps for kids, education, and research while riding your bike, being with friends, eating and drinking beer. WIN/WIN/WIN! If you are low on funds, there are many other another option. The Endurance Project needs donations for their Christmas Morning Giveaway. I know I’ve been feeling the chill in the air, can you imagine what it would be like sleeping outside tonight. There is a drop off box for donations in most bike shops around town as well as one in my Long Realty Office at 1890 E River Road. Also, make a commitment to give some time this season. I had an ask from Health South for singers to come entertain the patients. The Salvation Army always needs bell ringers. Next year, my goal is to raise $35,000 for the 35th El Tour De Tucson and split the funds among the 60 plus beneficiaries. I’m very excited to meet with each of these charities throughout the year so I can learn how each provides a needed service in the community and to help my friends find where they can invest in Southern Arizona. If you are having trouble figuring out how you can help out, I am happy to pair you with an organization that will match your passion. All of the photos from the Tucson Heart and Stroke walk will be posted on this page. You may need to refresh the page to see the new albums. My goal is to get them all posted this week, but I still have the Tour De Mesa photos as well as a busy week at work. These photos are a major time commitment and it is my pleasure to put it together. All I ask in return is that you remember I’m A REALTOR. If you have a relationship with another REALTOR, I love loyalty and respect those relationships. However, if not, or if you need a second opinion, Please keep The Damion Alexander Team in mind. Many agents spend money advertising for new business, others sit open houses or cold call. My business is based on referrals from past clients and friends. The less time I have to do traditional prospecting the more I can do for the community. For example: these photos. Launched in 2008, Ride for a Child is a special fundraising program that pairs El Tour cyclists with Tu Nidito children whose lives have been impacted by serious illness or the death of someone they love. Participating cyclists pledge to raise $500 or more for Tu Nidito as part of their El Tour ride. Each Ride for a Child cyclist rides and fundraises in honor of a specific Tu Nidito child, putting a face and story to their fundraising effort and Tu Nidito’s mission. With the support of Ride for a Child cyclists, who raise over $100,000 for Tu Nidito annually, we can realize our vision of a community where no child grieves alone. •	And the satisfaction of supporting a Tu Nidito child when it matters most.